Old boots boring you? I’ve got a trick for you! Have you ever invested in a pair of boots you just knew would work wonderfully in your wardrobe for years to come? I think we’ve all been there, by the 2nd or 3rd season you’re sick of looking at them. My friend MM was just complaining to me about this while I was in Chicago, I shared with her a little trick I use and she fell in love. So I decided to share with you! Its VERY simple and I bet you already own both items you need! Take your favorite pair of knee to thigh high socks and turn them inside out before putting them on, next slip on your favorite calf to knee high boot. Fold over your printed socks on top of the boots, and ta da! You’ve give your 2007 investment a whole new look! I found these 2, which I think will be a great match! I have so exciting news I’ll be able to share with you soon. In the meantime I wanted to give you a preview of what it may involve……lets just say I spent a part of my morning there yesterday. 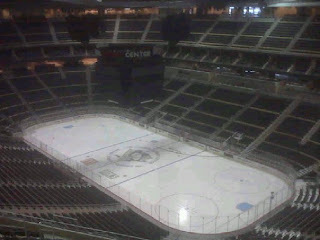 So you all know I’m a faithful reader of I heart PGH! So imagine my joy when I got the e-mail this morning about the tickets they’re giving away to this Sunday’s game! Just think you can see Tom Brady in person! Good luck! Don’t mind that blurry picture of me and my friends, we were celebrating the AFC Championship in ’08. Baltimore based Under-Amour announced that they recently signed a multi-year deal with the New England Patriots quarterback. Brady will now be wearing Under-Amour during training, as well as customized cleats on the filed! Also keep a lookout for his print ads and in-store signage. 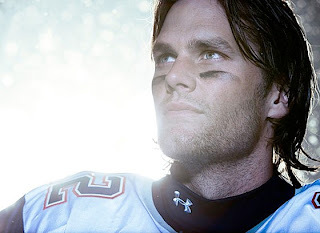 TV commercials starring Brady are set to debut next year! So I wanted to take this time to say Victoria (Les Wexner) if you’re listening….you should definitely do the same event here. I can guarantee you that it would be a hit. After all we have the largest female fan-base in the NFL. Call me we can discuss my ideas….